‘When we asked him what he’d like, he replied without hesitation, a parking space for my bike! 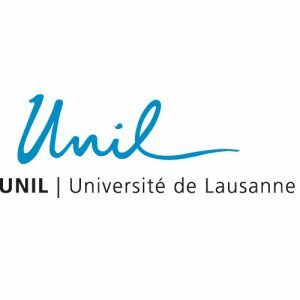 ‘ recalls Nouria Hernandez, UNIL rector. 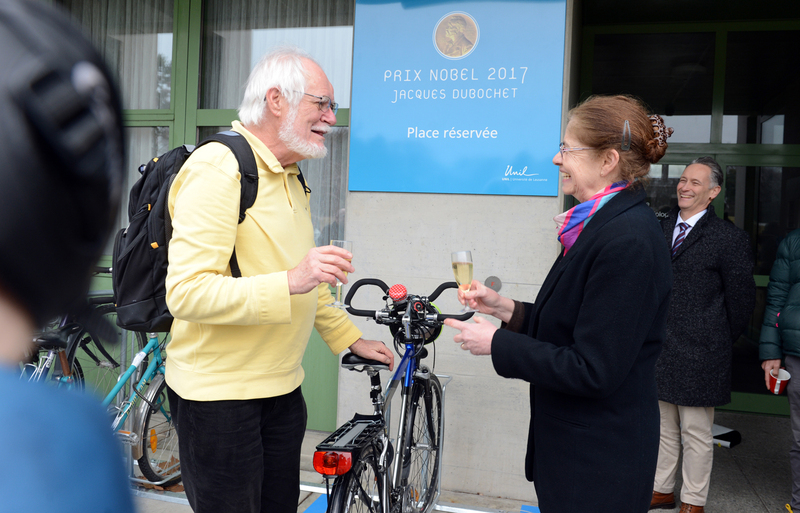 In a nod to the practices of other universities, particularly Berkeley (USA), where parking spaces are reserved for the cars of Nobel laureates, the Rectorate of UNIL offered Jacques Dubochet a parking space for his bicycle. Located to the north of the Biophore and emblazoned with the name of the honorary professor, it was unveiled on Monday 29 January before members of the Rectorate. Arriving on the scene astride his bike, fluorescent yellow helmet strapped firmly on his head, Jacques Dubochet welcomed the news with enthusiasm. His bike, purchased a few years ago from the Morges bike exchange underwent a cosmetic work for the occasion: ‘A new chain and a thorough cleaning’, he reveals jokingly.